Growing up as a Presbyterian, I did not do Lent. But as a practicing Episcopalian for the last 15 years, I have come to adore Lent. It’s a time when you slow down, reflect, and practice self-sacrifice. During Lent, you can either take something away or add something on. I did both this year. I gave up my favorite food of all time: hamburgers. And I added on practicing patience, as in you are standing behind someone at the checkout counter at the Publix and that person has two giant manilla envelopes bursting with coupons that will all be redeemed sometime before the Second Coming. My husband will tell you I am not a patient person. I hate to wait. I hate lines. I hate inconvenience. Mark will also tell you of my adoration of hamburgers. I consider myself somewhat of a burger connoisseur. The ground beef must be 80/20 chuck, meaning that 20 percent of the meat is fat. And, let’s all say it together, fat equals flavor. My preference is for burgers grilled medium. I am not scared of the pink. I embrace the pink. The best burger that was ever constructed was at a restaurant in Auburn, California, called Ikedas. They have this blend of spices that is indescribably delicious and they cook your burgers to order. When we lived in Reno, we would make the two-hour trip to Ikedas just for the burgers. My top five hamburgers would be in this order: Ikedas, Five Guys, Steak and Shake, the Big Mac (perfect ratio of sauce to meat) and, yes, Krystals. When we lived in Reno and visited Paul and Bunny in Knoxville we would make Paul stop at a Krystals just outside the airport before we did anything else. 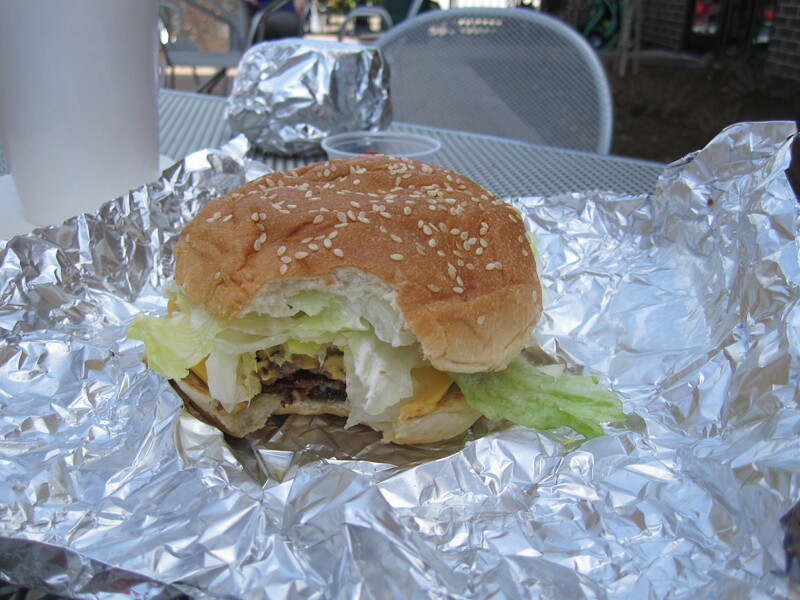 So today was the breaking of the 40-day hamburger fast and we headed to Five Guys as quick as we could. The order: bacon cheeseburger with mayonnaise, lettuce and onion. Superb! 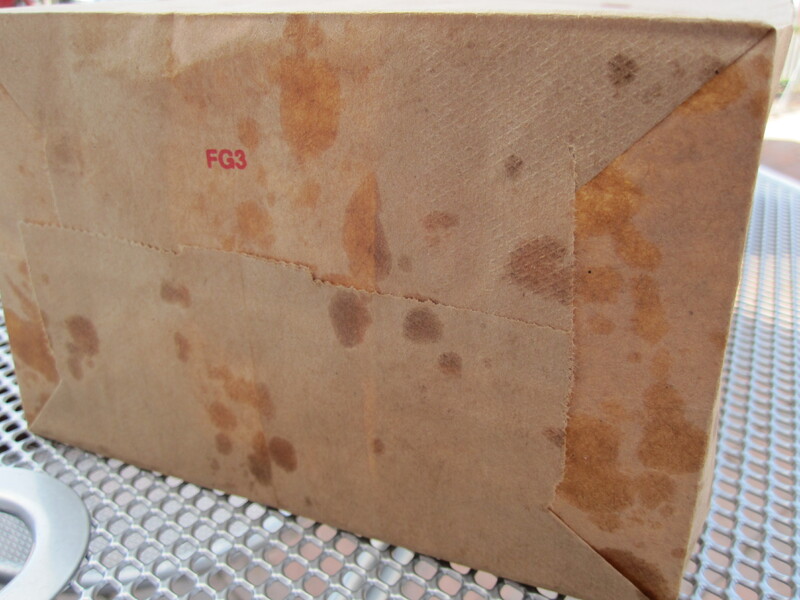 Also superb are the fries that come in a grease-stained brown paper bag. So I am at peace with the world again. I can have hamburgers morning, noon and night every day of the week. My epic self-sacrifice is over. However, I think I am going to continue trying to practice patience. Have you ever stood behind someone redeeming lottery tickets at a convenience store? My personal vision of hell on earth. The original Five Guys is about 3 miles from my house. M.A.